While there are many benefits that come to great workplaces, one of the most immediately obvious is financial success. Great workplaces with a great corporate culture are more financially successful than their peers. At Great Place to Work® Institute, we have known this for years. Our research has shown that great workplaces have lower voluntary employee turnover than their competitors, are able to recruit the best employees to fit their culture and needs, provide top quality customer service and create innovative products and services -- all activities that contribute to their overall financial success. And, there is the secret: it is not the perks and extravagant benefits -- it’s the relationships at work that matter. As a business leader, you have an immediate impact on your employees’ experience of these relationships. 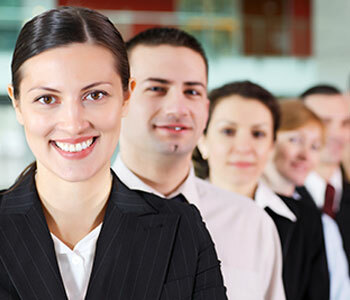 - Mitigate Employee Turnover: As the economy begins to rebound, employees will have greater options to move to companies where they feel respected, their contributions recognized and have opportunities for career development. At SAS Institute, employees enjoy a respectful work environment that supports their development; SAS enjoys an average turnover rate of about 3%! Voluntary turnover will likely see an increase in 2011, so focusing relationships with your people is a key way to shore up their commitment to your organization. - Align Customer Service: At Zappos.com, leaders know that their employees are in charge of the relationship between their customers and their organization. As consumer confidence increases, companies like Zappos, with excellent customer service, will move to the front of the line. While high-quality products are an important component of your company’s success, it’s your people that take care of the customer. As the economy rebounds, is your company positioned to take advantage of this market potential? - Be Positioned for Growth: Finally, the economic recession has been instructive for businesses on a number of levels. The increasingly competitive landscape of our inter-connected economy has taken center stage in our post-recession business calculus. Companies like Qualcomm and W.L. Gore & Associates that invest in processes for innovation and development of their people will lead the way in solving tomorrow’s business problems with cutting-edge products and solutions. Is your organization ready to invest in increasing its creative capacity for developing new, innovative products and services? It is not about doing “more.” It is about doing “different.” As a leader, you have to make decisions and communicate. The question to consider is how to make decisions (involve employees and ‘close the loop’ on outcomes) and communicate (transparency and accessibility) in a way that builds more trust. Focus on a few, vital things and begin from there. Take the long view. The creation of trust takes time, so have patience and keep focused on the end-goal: more trust in the workplace. Best companies don’t happen overnight. Like a garden, they take careful cultivation over time. Integrate rather than “action plan.” This is not to say you shouldn’t create a plan with employees, but developing trust is not about checking off a box, but integrating trust building behaviors and practices into your organization’s culture. Align to your values. One of the consistent things we see is how the best companies’ cultures are aligned to their respective values. Your company’s values are its “north star;” be sure they are reflected in your hiring process, as well as in your employee policies and guidelines including employee accountability, promotions and education. As you consider how to grow your business, make creating and sustaining a great workplace an element of your overall strategy. Michael Burchell is co-author of The Great Workplace – How to Build It, How to Keep It, And Why It Matters, with Jennifer Robin. He is a corporate Vice President with the Great Place to Work® Institute and a partner in the Institute’s UAE affiliate. A sought after speaker globally, he has worked with senior leaders in positioning the workplace as a competitive business advantage.